Do you know that God wants you to learn? He wants you to be on our constant journey in your life with growing and getting stronger in your faith. He wants you to be renewing your mind so that you can fulfill His plans for your life. Wisdom is the principal thing; Therefore get wisdom. And in all your getting, get understanding. Throughout the Bible, wisdom is often paired with understanding. In a nutshell, the instruction to us is to get wisdom from God. Start there. Then put in some effort to understand what He is teaching us. When you think about it, this make so much sense. Understanding is a powerful force. To understand means, “to comprehend, to grasp an idea.” And I especially like the definition in Greek, epistamai “I know how, I know,” literally “I stand upon.” So we are being called to get wisdom from God, study it so we comprehend and grasp what He is teaching, and then stand upon it! To me, that’s very exciting! Why, because God’s wisdom working in us is life. It’s growth. It’s vitality! In the process of gaining understanding, that seed of potential is able to grow. And the more I learn, ponder, meditate and comprehend, the more implanted God’s wisdom can be in my heart. The Bible says from James 1:21, “receive with meekness the implanted word, which is able to save your souls.” An implanted word is a truth that is understood. It is truth from God that becomes our truth. We believe. We get it! We can stand upon the truth so that nothing is wavering and we are confident. How do you “get understanding?” You start with the seed of God’s wisdom from His Word. And then you mull it over. You ponder it. You think about it. You talk to Him about it. This is all part of meditating on God’s Word. We can see the massive value in this as we see what God instructed Joshua to do when he assumed leadership over the Israelites while they were still in the wilderness. We are the ones who are to take action! And I have to say, I see a lot of Christians floundering while they wait for God to do something. But clearly, that’s not how God set things up. He’s already created the banqueting table. He gives us an open invitation to partake on the feast. We just need to go and eat! Then what? What happens after we “eat the seed” from the banqueting table? We digest it. That’s meditation. That’s putting in the effort to gain understanding. The sower sows the word. And these are the ones by the wayside where the word is sown. When they hear, Satan comes immediately and takes away the word that was sown in their hearts. Why would Satan come immediately and take way the word? First of all, he knows how powerful the implanted Word of God is for followers of Christ. And second, he needs to get it quickly before we take the time to meditate on God’s truth and gain understanding! Once we get understanding, God’s truth is our truth. The seed has been rooted into our thinking and we believe! What does all this call us to do? To get into God’s Word. And then to set aside the quiet time so we can ponder what the Lord is teaching us so we can gain understanding. I hope this helps as you pursue God and His truth for your life. If you want to meditate on the Proverbs that teach about Wisdom and Understanding, just click on the link or image below. Be blessed as you continue to grow in the love and knowledge of our Lord Jesus Christ. Oh, thank you so much for your very encouraging words. I am blessed by God to allow to do this very important work. My sincere hope is to bring understanding and inspiration to God’s people so they can draw nearer to Him. Be blessed on your fast, dear one. O’Landrew – God loves you and cares for you more than you can every message. I suggest you get into God’s Word. Read the Gospel of John and let it speak to your heart. Read it over and over again and meditate on what God’s message is to you. He is with you. He will help you. Our part is to turn to Him. To have faith. And to believe He will do what He says He will do. Read John over and over again. That’s a great way to build your faith and to hear from your Father. I enjoyed learning the significance of the implanted word of God in our life. Thank you for sharing this powerful message that truth must be understood in order to stand strong with unwavering confidence. And, I appreciate that you explained how to do this! GOD BLESS YOU. I CAN NEVER GO WRONG. BECAUSE JESUS IS THE ONLY WAY THE ONLY TRUTH AND THE ONLY LIFE. THROUGH HIS WORD WE CAN NEVER GO WRONG. BLESS THE NAME OF THE LORD. Thank You Lord Jesus for this opportunity. Help me to focus on You and Your truth. Click the image below to learn about the upcoming fast. What’s on Your Spiritual Dashboard? The Daniel Fast is NOT a Diet!!! 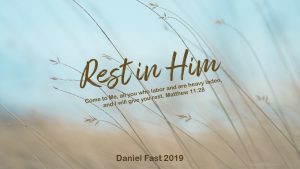 © Copyright 2018 Daniel Fast | Susan Gregory - All rights reserved. 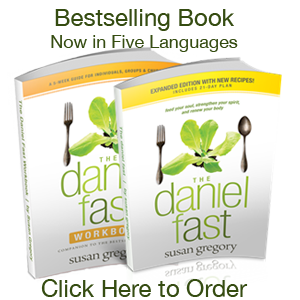 Do You Want to Learn More About the Daniel Fast? Complete the form below to receive the Daniel Fast Kit to support you and your successful fasting experience plus helpful resources for your faith building experience. Your Daniel Fast Success Kit is on the way! Please check your email inbox.